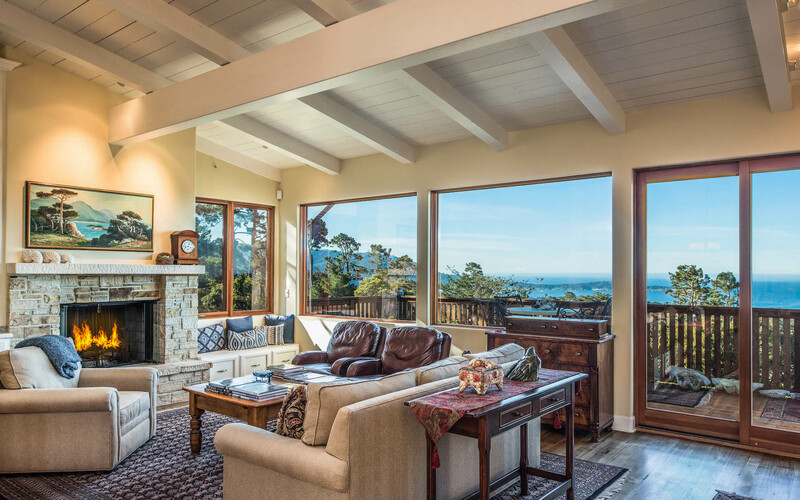 This charming ivy covered home with slate roof and rustic wood shutters, is located on a private 3/4 acre, gated compound in the heart of Carmel-by-the Sea. It is a little bit of Europe tucked away in a peaceful environment bordering the Mission Trail Nature Preserve. 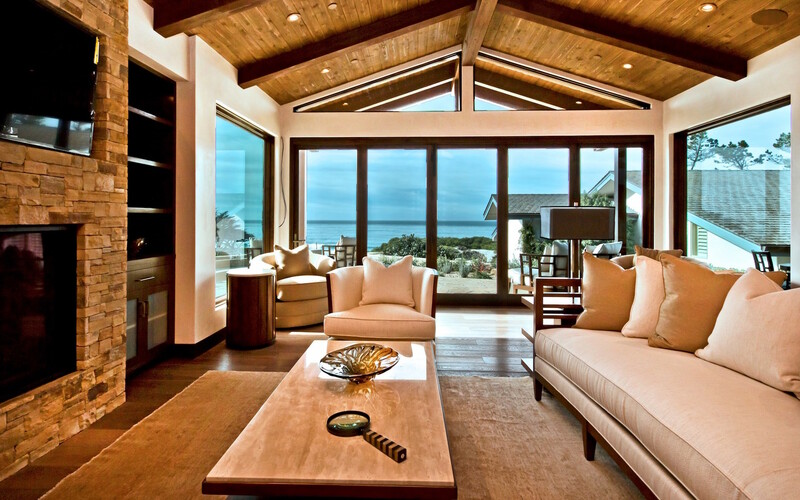 The home features cathedral beamed hand-hewn pine ceilings inspired by the design of a ship’s hull. Quiet radiant heating is throughout all rooms, under the limestone or antiqued oak flooring. 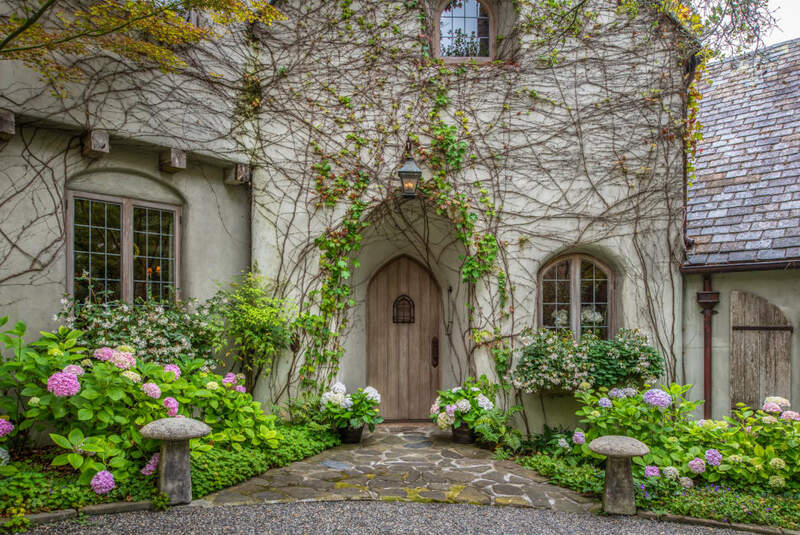 A deeply set Gothic arched redwood front door opens into the formal entry of the home, consisting of 3 bedrooms, den/office or 4th bedroom and 3.5 bathrooms, including the privately located downstairs master suite with limestone fireplace. 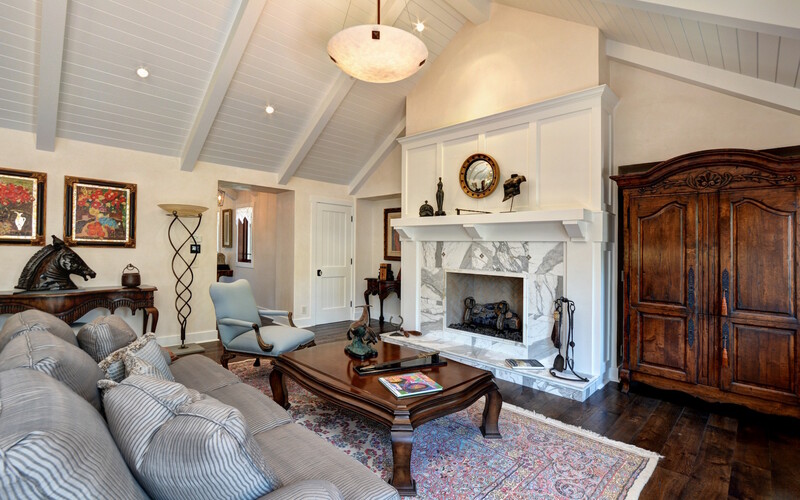 The living room, breakfast nook and family room feature three additional floor to ceiling formal carved fireplaces. All main rooms open to stone patios connected by walkways surrounding the home, with three outdoor fireplaces. The property includes an attached 2-car garage and an additional detached 2-car garage. There is a small redwood writer’s cabin with fireplace and patio. 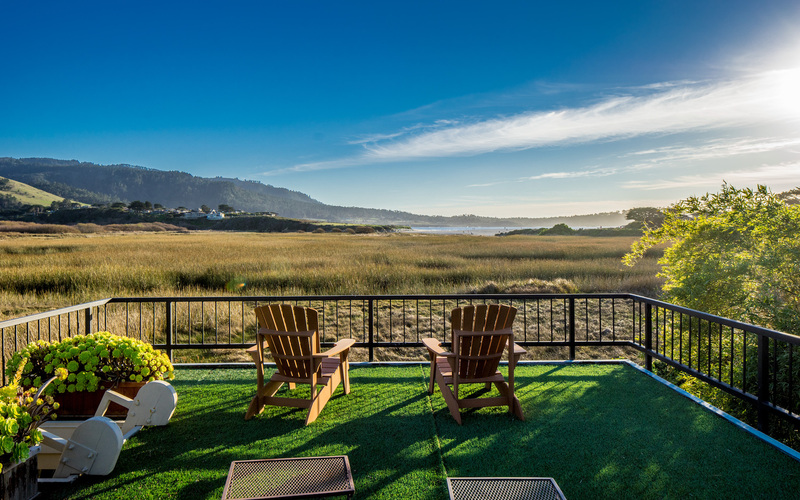 It is a little bit of Europe tucked away in a peaceful environment bordering the Mission Trail Nature Preserve.